The recognition of parasitic disease begins with the elicitation of a careful history. Specifically, the clinician should inquire about travel to or immigration from high-risk areas. Parasites flourish in warm, moist climates where sanitation is poor and where many of the people share a low socioeconomic status and have inadequate nutrition. Children are infected with parasites more frequently than adults because of their oral behavior, poor hygiene, and limited ability to ward off arthropod vectors. Parasitic disease should be considered in any patient with unexplained fever, abdominal pain, diarrhea, skin ulcers, rash, or eosinophilia. The history should include dates of travel or immigration, destination or country of origin, living conditions, and activities. 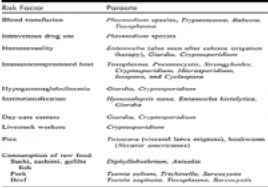 Certain specific areas of the world may implicate particular parasitic agents. Hmong tribesmen, who came to this country from Indochina in large numbers in 1979 and 1980, often harbor Paragonimus westermani (lung fluke), whereas visitors to Russia or the Rockies may return with Giardia. The history should also include questions about sexual orientation and contacts, drug use, and past illnesses as well as a complete review of systems. The use of pretravel medications, including antimalarial and antidiarrheal agents, should be elicited. The presence of risk factors can provide a clue to specific parasitic diseases (Iab.Je,.143:l). Cases of acute Chagas disease (trypanosomiasis) and babesiosis following blood transfusions have been described in the United States and Canada. Institutionalized patients may suffer from amebiasis and can become infected with Hymenolepsis nana (the most common tapeworm in the United States) or Giardia. 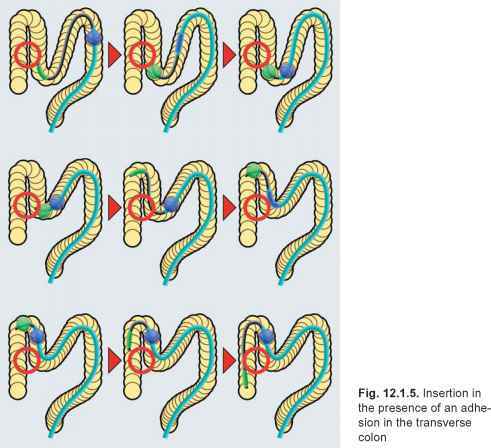 Immunocompromised hosts (including those on steroids or antineoplastic agents) are susceptible to infection by Strongyloides, Toxoplasma, Cryptosporidium, and P. carinii and can develop a life-threatening hyper-infection syndrome with Strongyloides stercoralis. It is interesting to note that patients with AIDS, while susceptible to Toxoplasma, Cryptosporidium, Pneumocystis, Isospora, Microsporidium, and Cyclospora, are not any more susceptible to Amoeba and Strongyloides than immunocompetent individuals. Finally, the consumption of raw food has been associated with a variety of parasitic diseases, including fish, pork, and beef tapeworm. 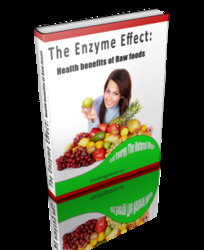 Enzymes which are usually proteins help to begin, aid in and accelerate every chemical reaction in the human body. Enzymes are the bodys main workforce, much like a construction company building a skyscraper.